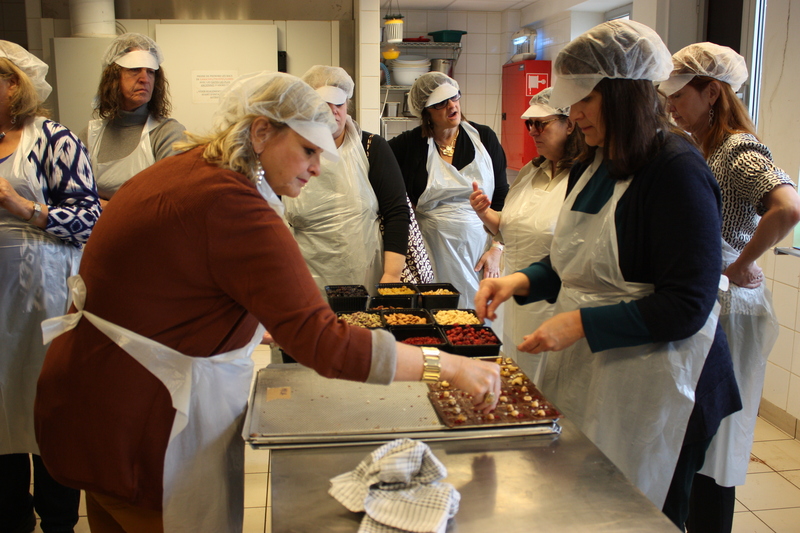 Belgian chocolate is all the same; deliciously sweet with those oh-so-soft and mouthwatering centers… that’s what I thought when I visited Belgium with a group of other travel advisors on a mission to learn all there is to know about Flanders. What we learned from Belgium’s premiere Master Chocolatier, Laurent Gerbaud, opened our eyes — and our mouths — to chocolate tastes we NEVER expected. From the moment you walk in, you realize this chocolate shop is very distinctive. As we listen to our host describe his history, his methods, and his products, we know we’ve stumbled upon a renaissance of Belgian chocolate. “I work by families of tastes. I have assorted nuts, acidity — with cranberry, pear, apricot, and physalis — the citrus family, too, and peppery tastes with black pepper, ginger, and chili. It’s only when I find a new ingredient that I make a new product… In Italy I found a fantastic cumin from a small producer of slow food in Morocco,” says Gerbaud. We watched Laurent and his team create enticing creations. It looked so easy. It happened so quickly. We felt energized — we wanted to try it ourselves. With a sweeping gesture he invited us to don aprons and hairnet hats and come create our own concoctions. There was a wide variety of nuts, dried fruits, spices, even fruit peels we could select for our unique assortments. Small battles to select the ingredients we wanted most ensued as we volleyed for a front-of-line position. Laurent and his team were very patient with us as one after another we created our masterpieces. It was exciting and fun, but what had looked so simple when Laurent was making his creations was not as easy as it had appeared. The timing has to be precise and you have to make decisions and start the next steps very quickly or your lovely pieces will not turn out as distinctively inviting as the Master’s. Ultimately, we were proud of our individual results. Our immediate thought was, how are we going to transport them? “Ne pas se soucier (not to worry),” he said. The packaging is the last step in the process. We selected our favored box, bag, or packet, and voila! Monsieur Gerbaud created an intriguing logo — a tribute to his influences from China. His bright and distinctive packaging features a red seal with “chocolate” written in Chinese amidst deep colors which create a distinctive identity for his brand. Our jeweled treasures were now housed in a sophisticated and visually enhanced package and orchestrated into irresistible temptations. A chocolate connoisseur’s delight! You, too, can experience this maestro at work. There are many activities that Laurent offers to the public. Some you can enjoy just by visiting: watching the production of the chocolates, enjoying chocolate teas and unique chocolate lunches (where every course is infused with some special chocolate ingredient), or just sampling the various chocolates available. Other experiences are more interactive. Laurent offers workshops, classes, and tastings designed for you to experience the differences between traditional chocolates and his unique chocolates. 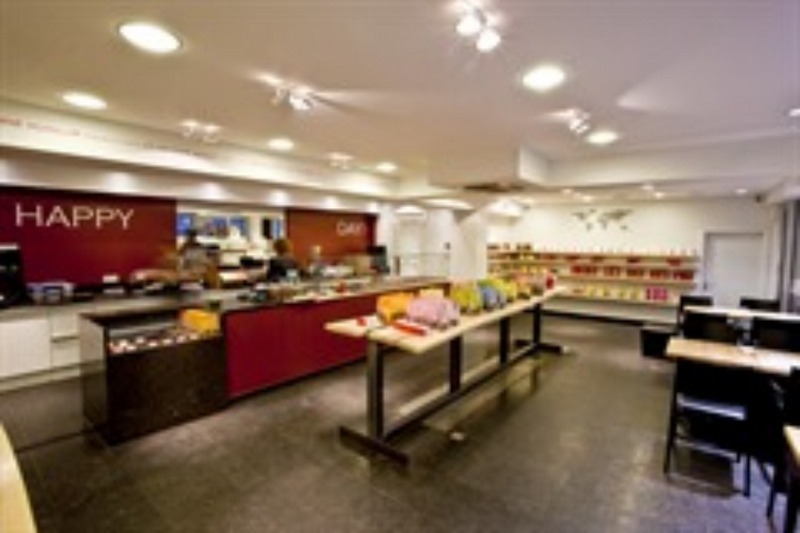 Celebration Escapes regularly inserts a trip to This famous chocolatier in our custom itineraries for Brussels. 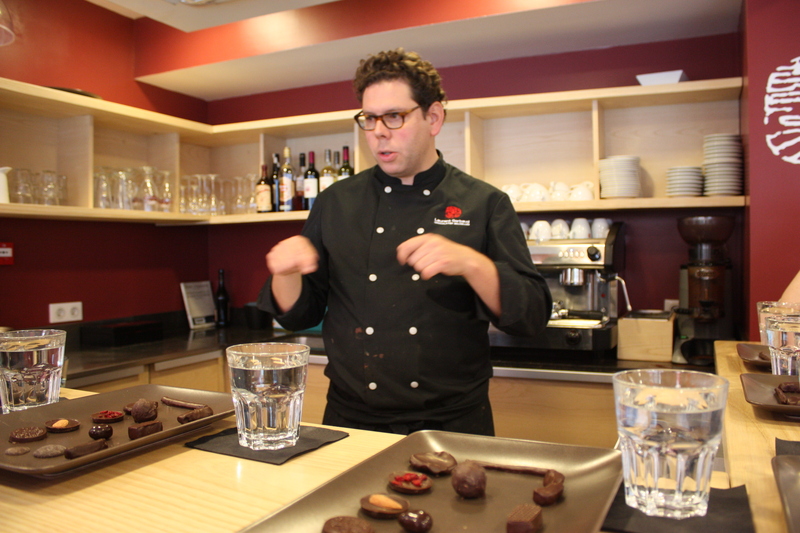 Make reservations ahead of time at events@chocolatsgerbaud.be and don’t forget his regular Saturday classes at 11:30 a.m. for around $40 per person.